John Bush contacted me several weeks ago – back around Thanksgiving, 2017, IIRC – and asked me to contact Jim Wrinn of Trains regarding a proposed 50th Anniversary commemoration. After talking briefly to Jim, I sent him an e-mail with some of my old photos which included the suggestion that he talk to you and Michael for expert advice regarding actually setting up the excursion. Jim has mentioned a fellow Trains employee, Kevin Gilliam, with whom he has been working to plan the weekend, and I presume they are working closely with John Bush (and probably Ed Beaudette) in this regard. I also presume that both Mr. Bush and Mr. Wrinn are reading our comments, since both of them have I-Ds here on the NGDF. Plus, I have passed along some of the suggestions directly to Mr. Wrinn, such as running the eastbound train with helper #484 at the rear of the train – rather than as a double-header – to better replicate the usual D&RGW practice in that era. 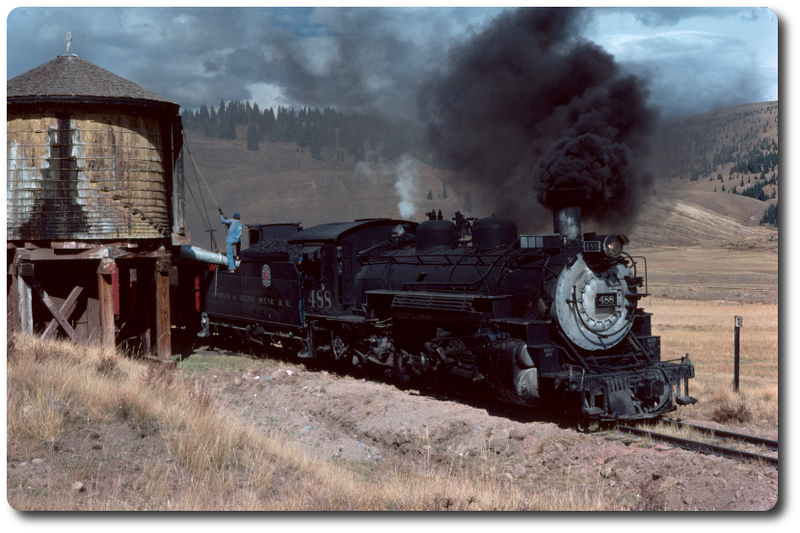 IMHO, Greg's idea to use #463 and #315 to power a separate "chase" train on each of the two days would not only allow much more accurate re-enactments of typical D&RGW freights, the use of these two engines would greatly increase the appeal of the event. The downside is that the cost of tickets has already been announced, and I doubt that this additional expense could be accommodated without a price adjustment. Edited 3 time(s). Last edit at 02/09/2018 10:50AM by Russo Loco.